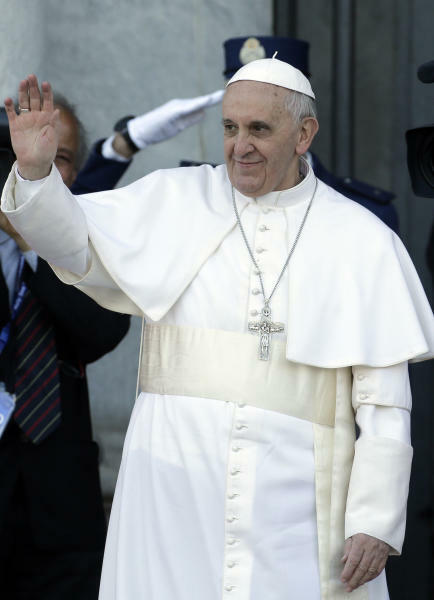 VATICAN CITY (AP) — Pope Francis marked his first month as pope on Saturday by naming nine high-ranking prelates from around the globe to a permanent advisory group to help him run the Catholic Church and study a reform of the Vatican bureaucracy — a bombshell announcement that indicates he intends a major shift in how the papacy should function. The panel includes only one current Vatican official; the rest are cardinals and a monsignor from Europe, Africa, North and South America, Asia and Australia — a clear indication that Francis wants to reflect the universal nature of the church in its governance and core decision-making, particularly given the church is growing and counts most of the world's Catholics in the southern hemisphere. 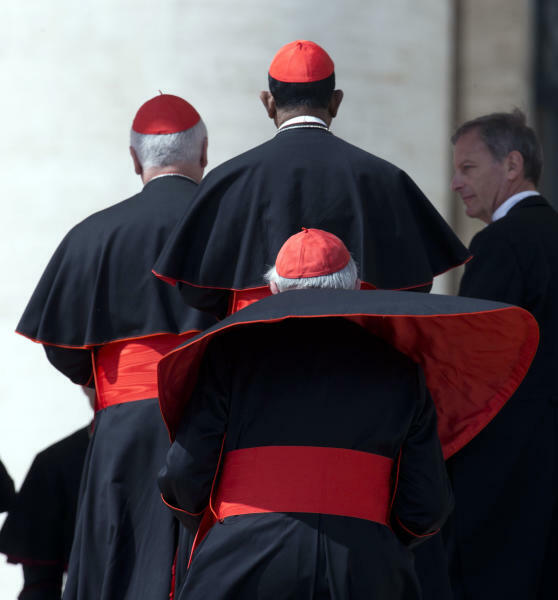 In the run-up to the conclave that elected Francis pope one month ago, a reform of the Vatican bureaucracy was a constant drumbeat, as were calls to make the Vatican itself more responsive to the needs of bishops around the world. Including representatives from each continent in a permanent advisory panel to the pope would seem to go a long way toward answering those calls. In its announcement Saturday, the Vatican said that Francis got the idea to form the advisory body from the pre-conclave meetings. "He has formed a group of cardinals to advise him in the governing of the universal church and to study a revision of the apostolic constitution Pastor Bonus on the Roman Curia," the statement said. A reform of the Vatican bureaucracy has been demanded for decades, given both John Paul and Benedict XVI essentially neglected in-house administration of the Holy See in favor of other priorities. But the calls for change grew deafening last year after the leaks of papal documents exposed petty turf battles within the Vatican bureaucracy, allegations of corruption in the running of the Vatican city state and even a purported plot by senior Vatican officials to out a prominent Catholic as gay. The members of the panel include Cardinal Giuseppe Bertello, president of the Vatican city state administration — a key position that runs the actual functioning of the Vatican, including its profit-making museums. The non-Vatican officials include Cardinals Francisco Javier Errázuriz Ossa, the retired archbishop of Santiago, Chile; Oswald Gracias, archbishop of Mumbai, India; Reinhard Marx, archbishop of Munich and Freising, Germany; Laurent Monsengwo Pasinya, archbishop of Kinshasa, Congo; Sean Patrick O'Malley, the archbishop of Boston; George Pell, archbishop of Sydney, Australia; and Oscar Andrés Rodríguez Maradiaga, archbishop of Tegucigalpa, Honduras. Monsignor Marcello Semeraro, bishop of Albano, will be secretary while Maradiaga will serve as the group coordinator.